Courtesy of The Sill‘It’s gardening for my generation,’ Eliza Blank told Business Insider. Millennials are buying more plants than ever. Many are waiting longer to buy homes and are living in smaller, urban spaces for longer, which drives an interest in raising plants. The Sill, a direct-to-consumer plant seller, has made shopping for plants tech-friendly, advising customers on which types would be most suitable for their living circumstances and delivering plants directly to their door. The company just closed a $US5 million round of funding led by Raine Ventures, bringing its total raised to $US7.5 million. Eliza Blank is in the business of selling plants to novices. The Sill, the direct-to-consumer plant-selling business she founded in 2012 and leads as CEO, simplifies the process of selecting and buying indoor plants by advising customers on which types would be most suitable for their living circumstances – whether their home has bright light, low light, or is pet-friendly, for example – and then delivering them directly to their door. The plants cost between $US6 for a philodendron and go up to $US60 for a pilea peperomioides. “It’s gardening for my generation,” Blank told Business Insider in a recent interview. The message seems to be resonating. The Sill just closed a $US5 million round of funding led by Raine Ventures, bringing its total raised to $US7.5 million. It has sold nearly 100,000 products so far this year and is on track to pull in nearly $US5 million in annual revenue this year, the company said. It hit $US1.7 million in revenue in 2017. The company has matured during a boom in indoor plant sales that analysts say is driven by millennials’ living circumstances. Many millennials are waiting longer to buy homes and are living in smaller, urban spaces for longer. For many, that creates a need for some green to bring the outside in. 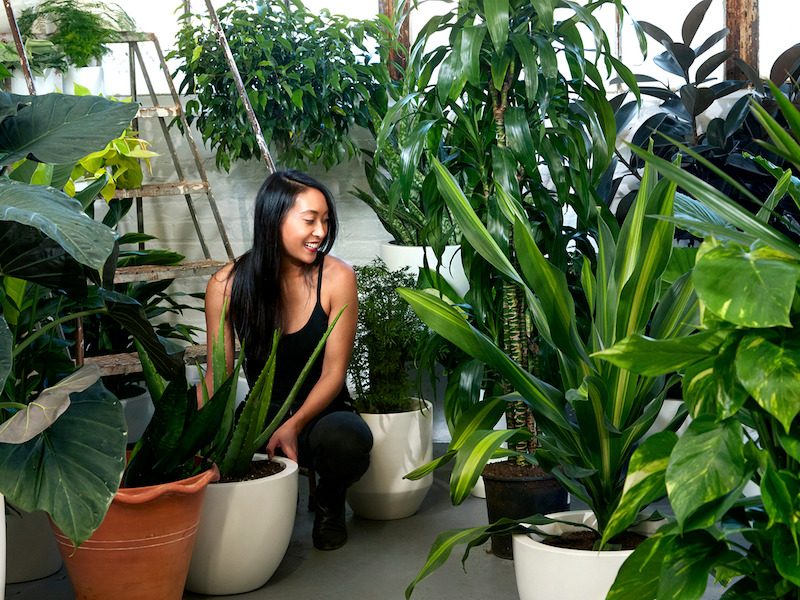 In America, millennials are thought to account for one-third of the houseplant sales, according to Ian Baldwin, a business adviser for the gardening industry who spoke with The New York Times. The biggest driver of the trend seems to be space – or, perhaps, the lack thereof. Blank, 33, came up with the business idea after experiencing her own frustrations while moving into her first apartment. “Like most apartments in New York, it was dismal at best. I was living in a 200-square-feet space in a six-floor walk-up, and my window quite literally faced a brick wall,” she said. Blank used plants as an escape. “It occurred to me how deeply my emotional health and well-being was tired to nature,” she said. The Sill, which operates online and from two stores in New York City, is perfectly poised to serve the urban, millennial customer who lives on the top floor of a 10-story building and has no access to a garden. There is also a sense of escapism in plant-keeping. “It’s really an opportunity to disconnect with all the craziness in day-to-day, which is why it has resonated most deeply with millennials,” Blank said. Some have said that the act of looking after plants may also be filling a void for millennials who are not only buying houses later, but also delaying getting married and having children. “Plants make us feel like grown-ups. When the traditional signs of adulthood – marriage, homeownership, children – are delayed or otherwise out of reach, it’s comforting to come home to something that depends on you,” Jazmine Hughes wrote in The New York Times in June 2017. The Sill plays on this in its reference to its customers as “Plant Parents.” On its website, it invites customers to join the so-called “Plant Parent Club” for $US35 a month and have access to workshops and online webinars that instruct owners on how to care for their new crop. Inspirational and aspirational platforms like Instagram and Pinterest are also creating an “intent to purchase,” Blank said. The Sill has more than 282,000 followers on Instagram. “I don’t know if I would have ever been so involved or thoughtful about interior design if it wasn’t for companies on Instagram posting so much content all the time,” she said. The Sill is now looking to expand its reach into outdoor plants and target new customers. “We got our foothold with millennials, but I see us as starting to break into not only the 35-plus crowd, but also the next generation,” she said. And she has high hopes for this.